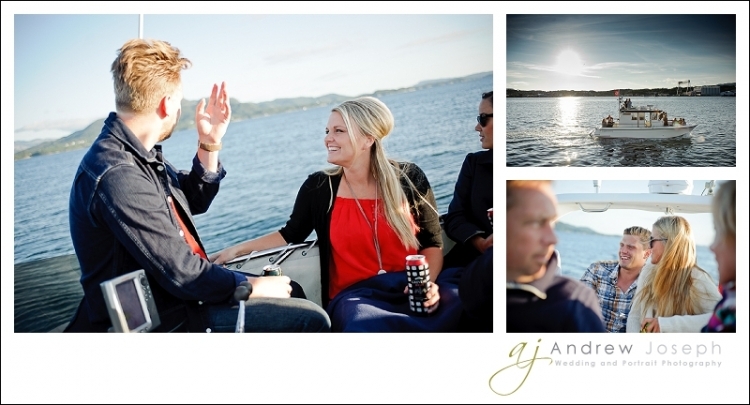 Trine and Jonatan offered the two families a meet and greet on a boat the evening before the wedding. With a couple of beers and some wine I’d say a great way to get to know each other. The trip lasted approx. 1,5 hours and then the boats moored in the port of Stord. Nearby was a place where most of the friends used to hang out in the the weekend. Trine was I believe the DJ back then 😉 The brother of Trine, Frode, had made a lovely fish soup that went down well. 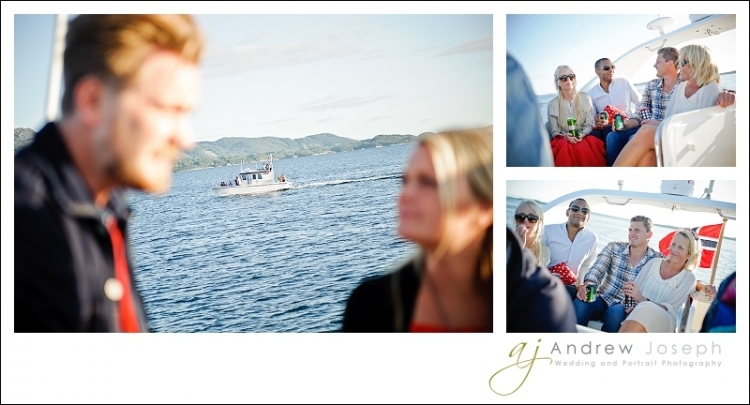 Thanks Frode!